Ad advert for The Wildlife Trusts featuring the characters from Wind in the Willows, directed by Thomas Harnett O’Meara and Matthew Day. A music video for Feel First Life by Jon Hopkins, directed by Elliot Dear. A Christmas advert for the Belgian Lotto, directed by Parabella's Dan Ojari and Mikey Please. An E Sting, made as part of E4’s new branding, directed by Parabella’s Dan Ojari and Mikey Please. Hattie Newman's London cityscape Christmas windows for Selfridges department store. Annemarieke Kloosterhof’s paper sculptures for the Fantasy City campaign for L’Oreal’s Viktor & Rolf Perfumes. An animation directed by Thomas Harnett O’Meara showcasing Hermes Paris’s new leather goods range. ‘The Handmade Gift’, a Christmas advert for Greenpeace France directed by Anna Mantzaris. A series of two commercials directed by Anthony Farquhar-Smith for the Colorado State Lottery. A promotional video for the Sotheby's sale of Sanyu's leopard painting directed by Thomas Harnett O'Meara. Hattie Newman's series of four images for Home Depot replicating their garden furniture and equipment in miniature. 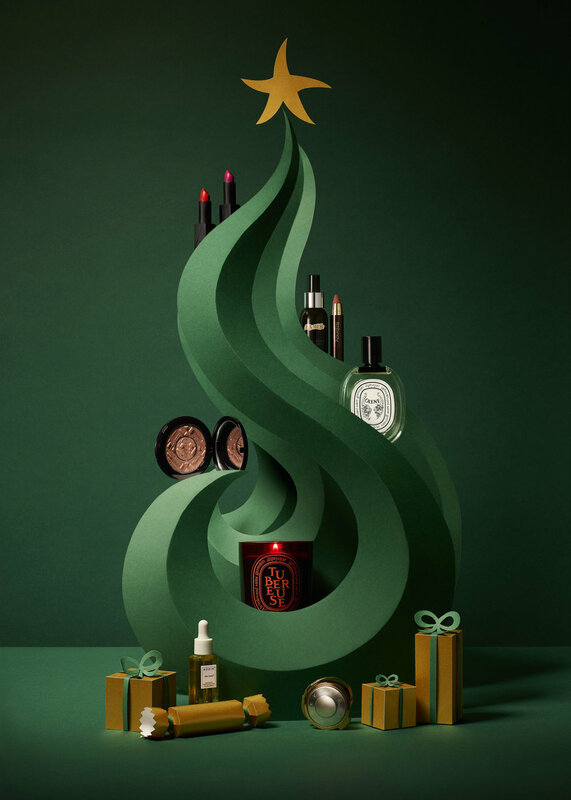 Space NK’s Christmas 2017 cover designed by Owen Gildersleeve. A collaboration between NFTS and the clothing brand Jigsaw for their 2017 Christmas campaign. Directed by Nick Cinelli, set design by Owen Gildersleeve. Sets and props designed by Annemarieke Kloosterhof for Blue Peter’s official 60th anniversary photo shoot. A social media campaign for Ace & Tate directed by Kyle Bean.